[post_content] => My Leopard Gecko is My Friend, dont you agree? 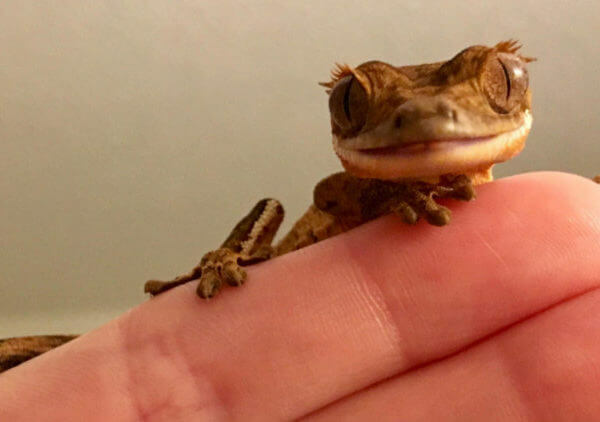 [post_content] => Meet My New Crested Gecko. Were still getting acquainted, and trying to decide on a name. What would you name him? [post_title] => My pixie frog's name is Blob. Here is her setup. Any feedback on this pixie frog setup? [post_content] => Here's my pal, Tyrone. He loves bath time. Let's see pics of your beardie enjoying their bath time. [post_content] => Worms are the most notorious bait for fishing. However, many fish hunters have discovered that crickets serve as excellent bait for many types of pan fish. 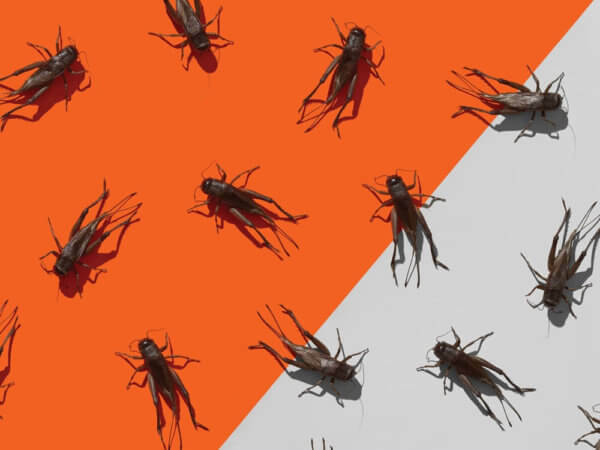 If ordering and storing crickets isn't one of your many skills, then consider looking into some of these bait stores near me to find a local supplier of fishing crickets.The belief is that pan fish naturally swim around the bank due to its cover. And this is where crickets are more likely to be found, since they are not natural swimmers. So when a helpless cricket falls into the perils of the open water, it’s quickly devoured as a hearty snack. You’ll need a long shanked no. 8 or 10 light-wire hook for the crickets. Run the hook through the crickets’ chin. Then push it further through the center of the body, and out the tail end of the cricket. Then after the cricket thas been threaded onto the hook, you’ll want to push the cricket onto the shank of the hook so that it hangs straight and upright. This will encourage the fish to put the entire hook into its mouth. Once your rig is set up, you’ll want to cast your cricket rig close to cover, or near a bank. These areas are where panfish will expect to see crickets floating on top of the surface. And once you’re cast into the water, just patiently wait for the water to ripple around your rig. If you're having trouble getting the fish's attention, then consider some of these fish finders. Whether you're kayaking, pontooning, or ice fishing, these fish finders will help you identify the depths, as well as the amount of fish in the areas. And no matter your budget, you can find fish finders as low as $50, to well over $1000. So don't get discouraged if your inner finder isn't working, because there's plenty of sonar-infused finders to help you net a great yield of fish. [post_content] => This is known as their "feeding frequency." And this is pretty easy to define. Basically, all bearded dragons will need to be fed daily. But the question of how much to feed them depends on their age, and their life stage. 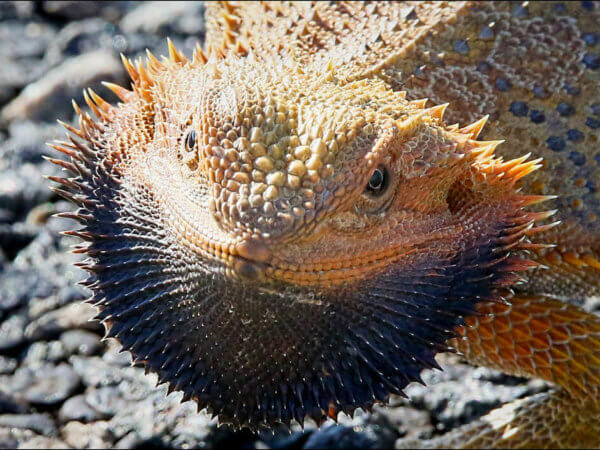 A young bearded dragon will need to a diet of about 80% insects and 20% fruits and vegatables. 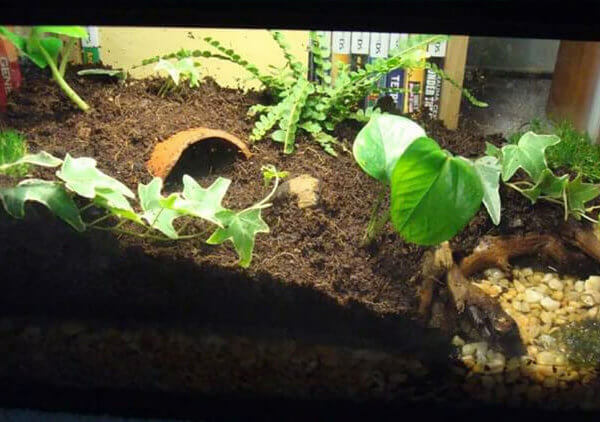 The fat and protein from the crickets and superworms will ensure the baby bearded dragon gets the proper nutrition to grow large and healthy. But, once the bearded dragon matures, you'll want to reverse those percentages, and offer 20% insects, and 80% fruits and vegetables. But the amount you offer will depend on the season. 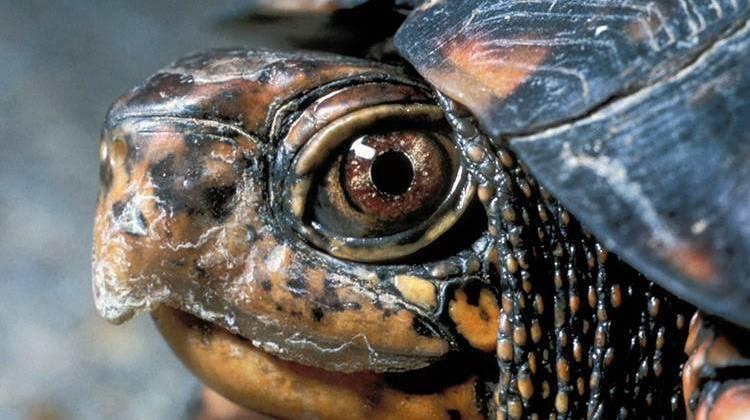 If they are brumating, or if they're shedding, you'll want to reduce the amount offered. These natural cycles can reduce your pets appetite, which could leave excess food living or decaying inside his home. And that won't make for a nice living environment. So do make sure to be up to date on your beloved beardie's feeding schedule. 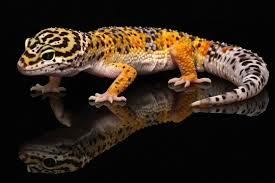 My Leopard Gecko is My Friend, dont you agree? Meet My New Crested Gecko. Were still getting acquainted, and trying to decide on a name. What would you name him? My pixie frog’s name is Blob. Here is her setup. Any feedback on this pixie frog setup? Here’s my pal, Tyrone. He loves bath time. 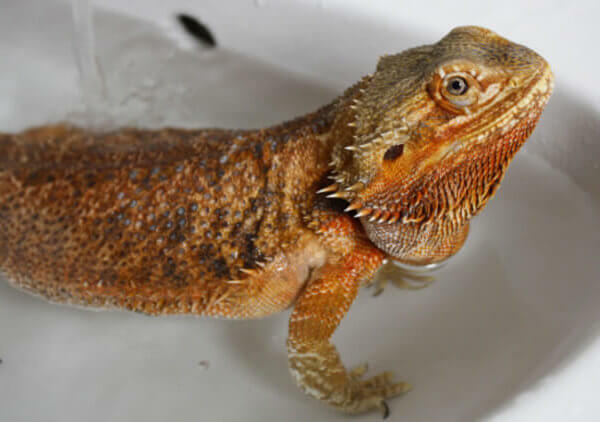 Let’s see pics of your beardie enjoying their bath time.